Courtyard, Palazzo Doria Pamphilj, Rome. 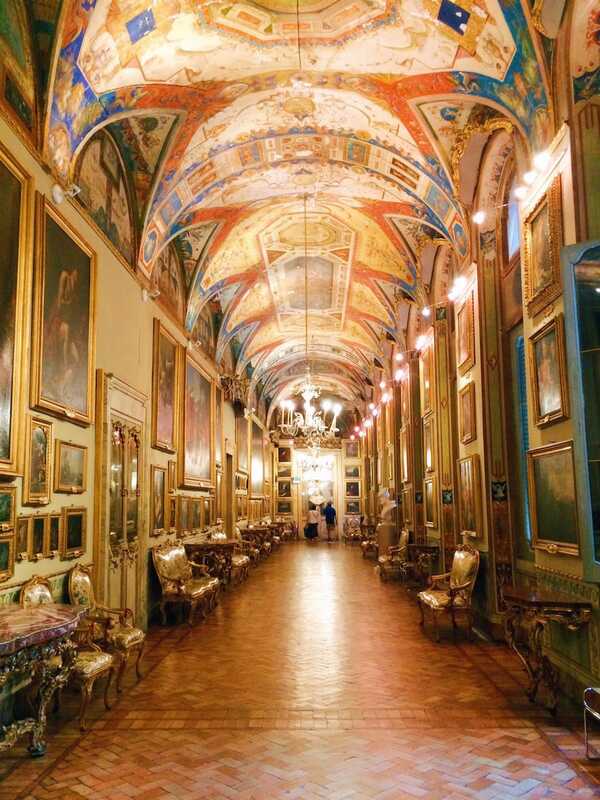 Like Galleria Colonna, Galleria Doria Pamphilj is one of the few art collections in Rome displayed in their original location at Palazzo Pamphilj al Collegio Romano, now called Palazzo Doria Pamphilj (accessible from the present via del Corso), still belonging to the descendants of that noble family. Except for a few changes already become part of history in fact, the overall set-up of the gallery is possibly akin to that one dating back to the 18th century. Doria Pamphilj coat of arms, tapestry, Courtyard at Palazzo Doria Pamphilj, Rome. The palace was brought to the Pamphilj possessions as a dowry by Olimpia Aldobrandini (1623-1681), niece of the cardinal Pietro Aldobrandini and married in 1647 by Camillo Pamphilj (1622 – 1666), who renounced to the cardinalate defying his threatening mother Olimpia Maidalchini, the influent sister-in-law, as well as collaborator and confidant of pope Innocenzo X Pamphilj. The story of this family is really marked out by the infamous figure of this cunning woman. Olimpia Maidalchini, called "la papessa" (she-pope), was supposed to be so much greedy for money and power that frightening tales surrounded her shady figure. 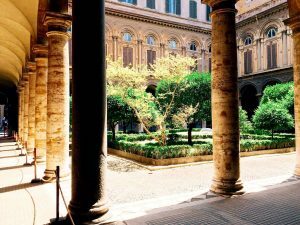 It seems that the newly weds Olimpia and Camillo even spent their first period of life together in the Roman countryside to not intensify the disagreement of both stern mother and pope. 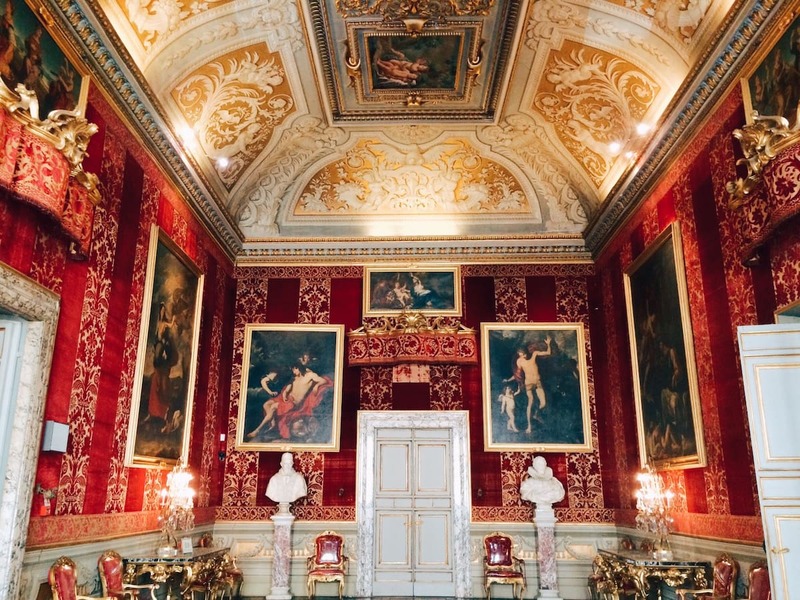 However, the prince Camillo stabilized himself and his wife soon in the palace, commissioning to Antonio Del Grande some works to expand the building and transform it in a sumptuous residence between ca. 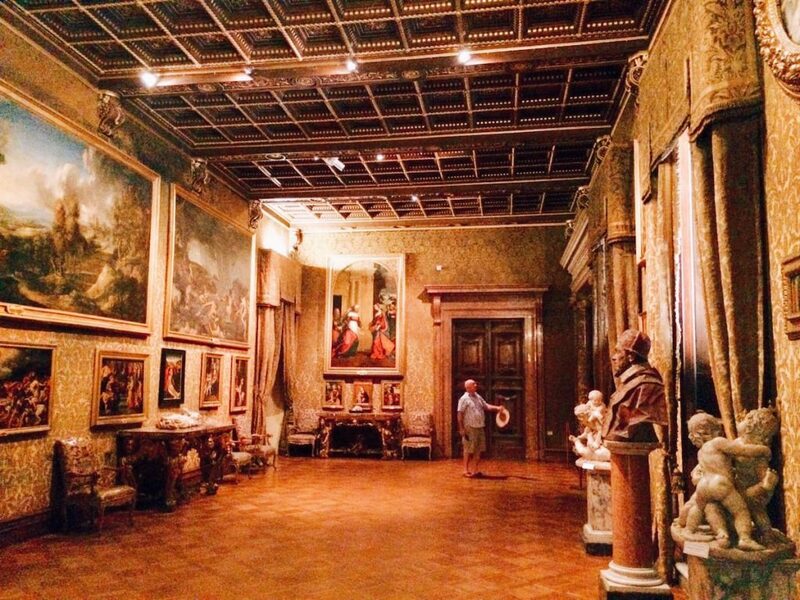 1656 and 1661, also enriching the family collections of artworks. Opening time: everyday 9.00 am - 6 pm (last entrance). Closed on the 25th of December; 1st of January; Easter. 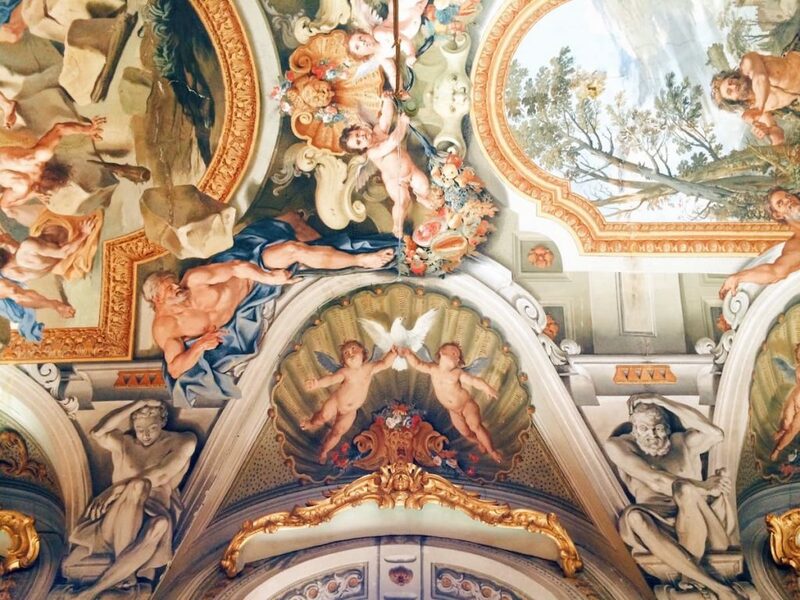 Galleria degli Specchi ceiling, 2nd wing, Palazzo Doria Pamphilj, Rome. 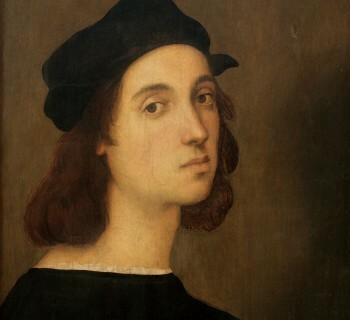 The architectural works and the gathering as well as growth of the collections at the palace continued after Camillo’s death thanks to his heirs. 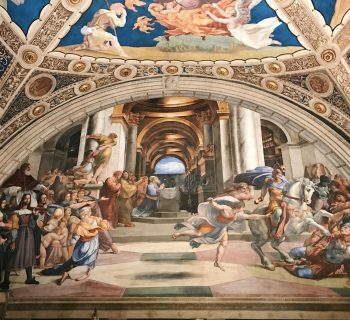 Above all, Camillo Pamphilj Aldobrandini commissioned to Gabriele Valvassori an extensive renovation of the building between ca. 1730 and 1735, as the design of the façade, part of the interior decoration and the closure of the gallery in order to display the rich art collections of painting and sculpture. The interior design especially for the unsymmetrical embellishments of the wooden furniture created one of the rare and unique artistic examples of the so-called “Roman Rococo”, as it could be cautiously defined. 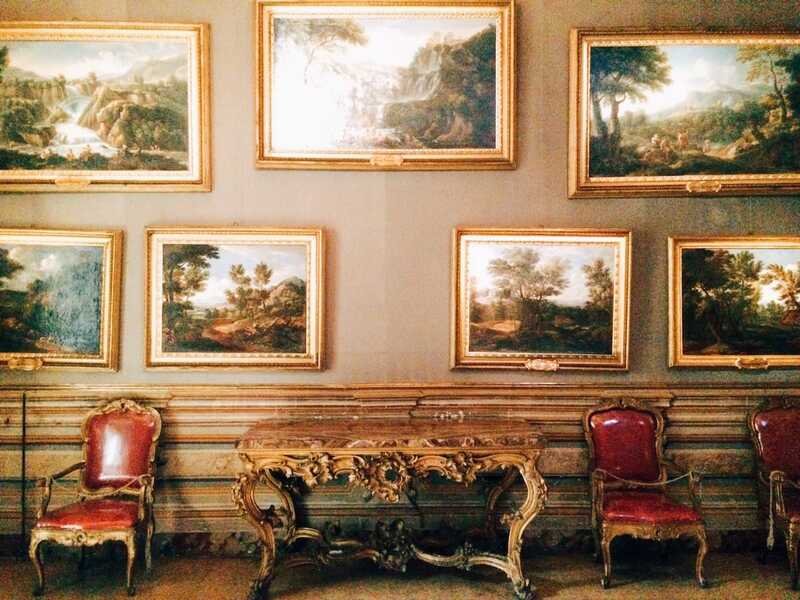 Galleria Aldobrandini, 1st wing, Palazzo Doria Pamphilj, Rome. 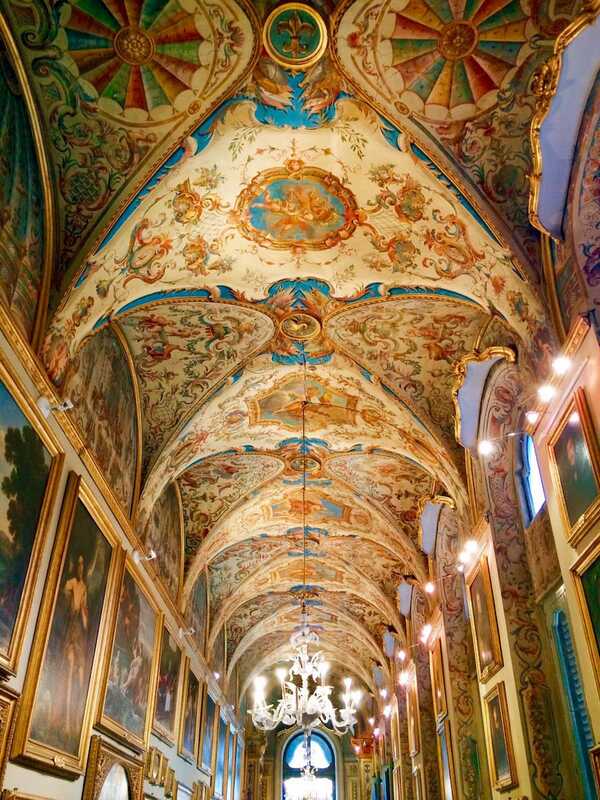 Galleria degli Specchi, 2nd wing, Palazzo Doria Pamphilj, Rome. 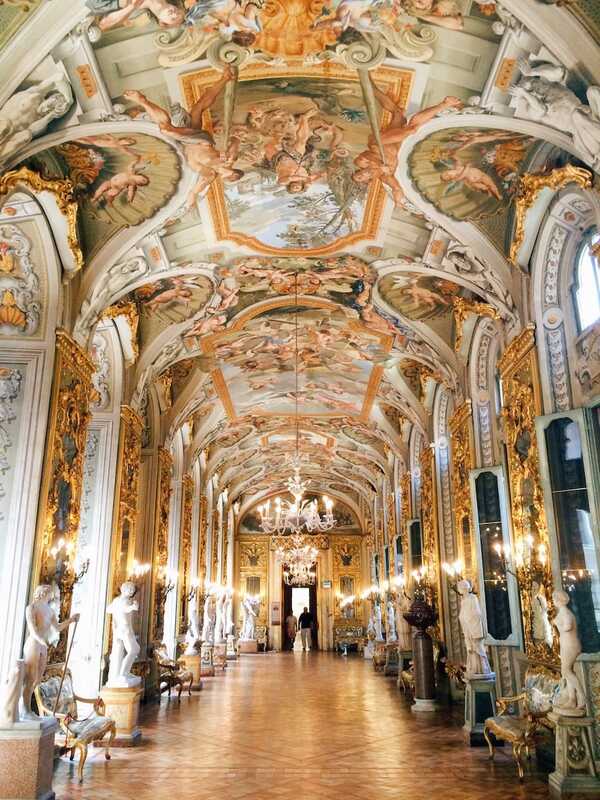 Galleria Pamphilj, 3rd wing, Palazzo Doria Pamphilj, Rome. 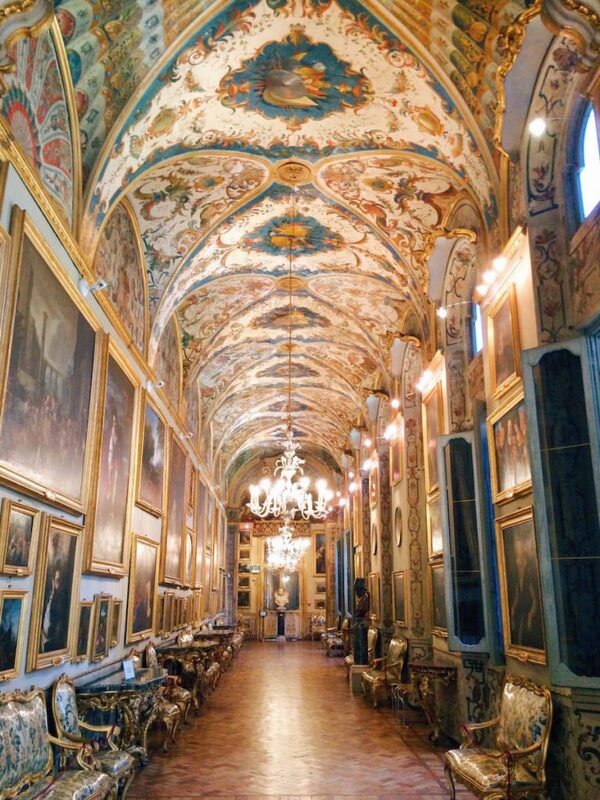 Galleria Doria, 4th wing, Palazzo Doria Pamphilj, Rome. 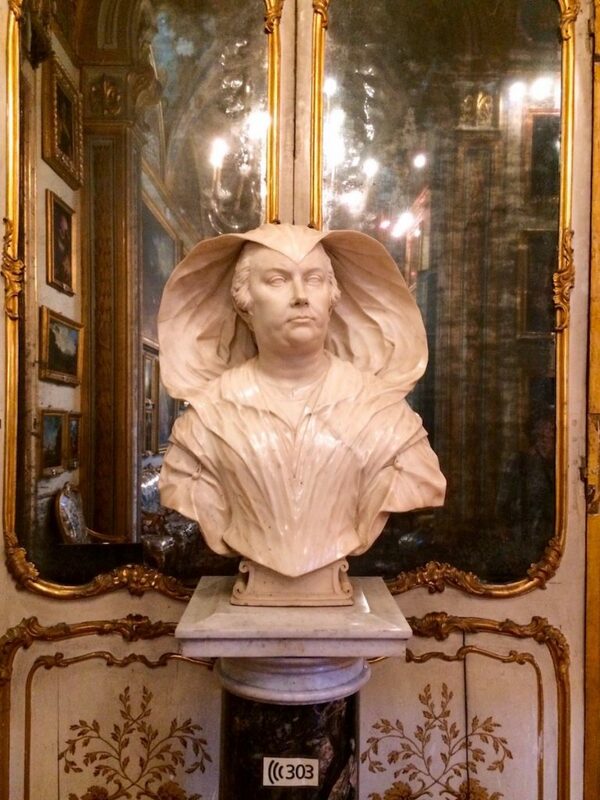 Alessandro Algardi from Bologna, Portrait of Olimpia Maidalchini Pamphilj (Viterbo, 1591 – San Martino al Cimino, 1657), mid-17th century, marble, Galleria Doria, 4th wing, Palazzo Doria Pamphilj, Rome. 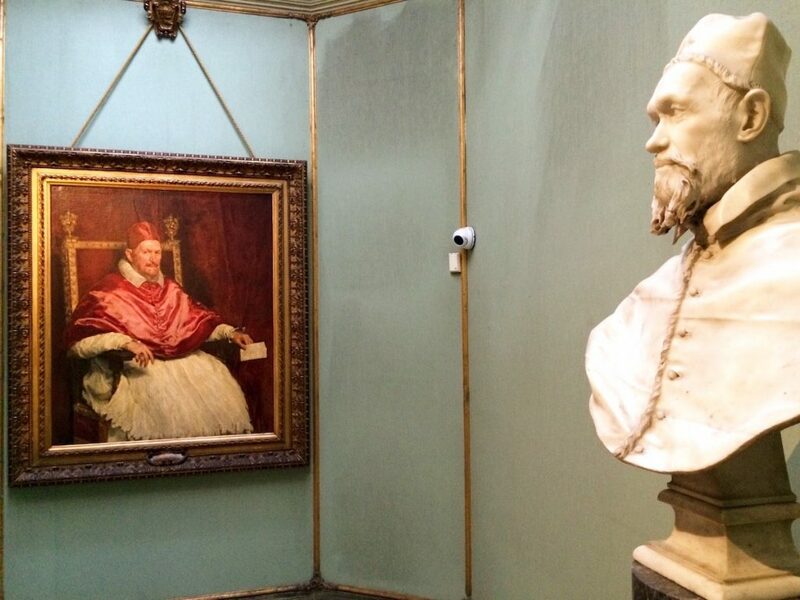 Gabinetto di Velázquez, Palazzo Doria Pamphilj, Rome. Salone dei Velluti, Palazzo Doria Pamphilj, Rome. 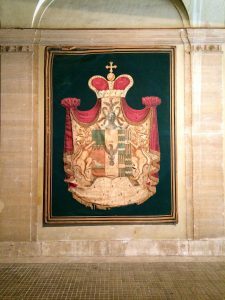 Sala dei Primitivi, Palazzo Doria Pamphilj, Rome. 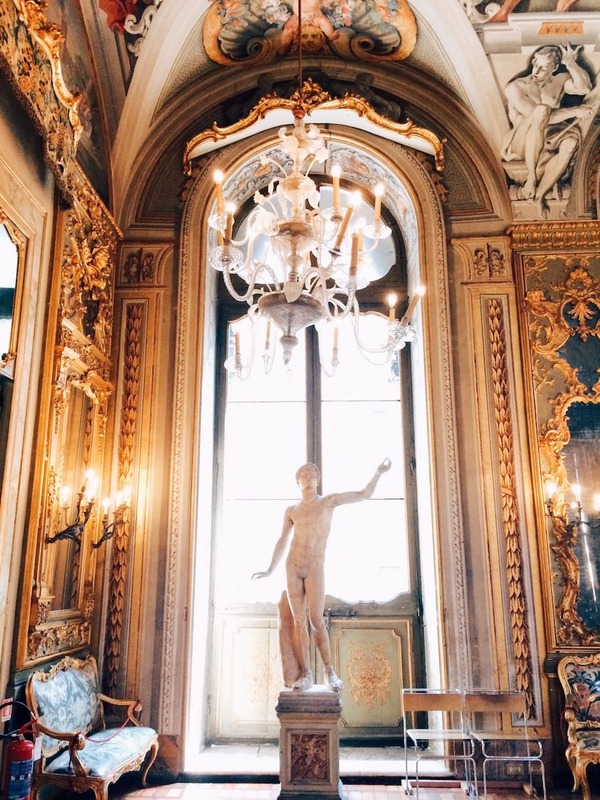 Il Palazzo Pamphilj ad Albano, fourth room towards via del Corso, Palazzo Doria Pamphilj, Rome. 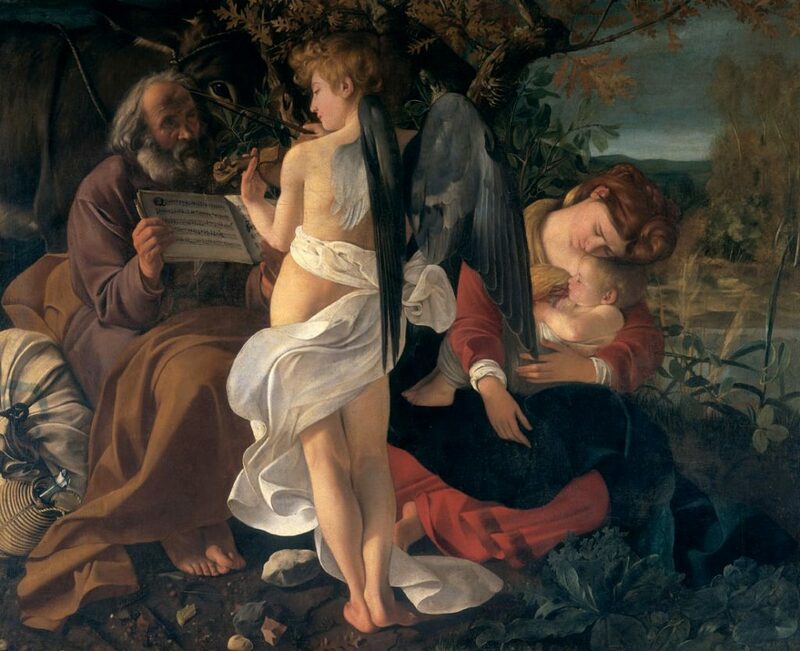 Michelangelo Merisi da Caravaggio, Rest on the Flight into Egypt, ca. 1594-1597, oil on canvas (130 × 160) cm, Sala Aldobrandini, Palazzo Doria Pamphilj, Rome.